Are you looking for best carpet cleaning London company with professional carpet cleaners in London? In buzzing 24/7 modern cities, dirt and pollution aren’t just a problem outside your home - they can get inside, too. We provide full service professional carpet cleaning London needs. Our professional carpet cleaners in London team has a wealth of experience cleaning everything from rugs and carpets to upholstery, mattresses and curtains. Your home’s carpets, rugs and fabrics can easily become breeding grounds for bacteria and other undesirable microorganisms. Because modern fabric and fibres are densely woven, dirt and debris have a hard time escaping. This makes cleaning very difficult and when stains are involved, it tends to attract bacterial growth. Your carpet can therefore turn from a great investment into a potential health hazard. Most of the microorganisms that make the dirty carpet their home can trigger and aggravate allergies, and in some cases, may even cause hay fever and other respiratory problems. These are just some of the reasons why we're the full service carpet cleaner in London who represents great value to our clients – a dirty carpet does not just look ugly, it can make your living space an unbearable place to stay in. Cleaning a carpet or a rug is not as easy as it looks. There are many things you need to consider, such as what kind of dirt or stains your carpet has, and what is actually causing the dirt and debris to accumulate. 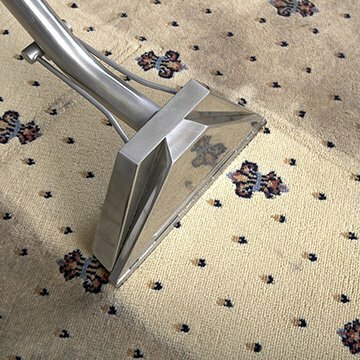 Our team has the skill and experience to service all kinds of carpets and rugs and make sure it is completely clean by the time we are done. Carpet cleaning does not just involve general cleaning; it also involves deodorising and odour removal. Half of UK households have pets, and that can mean carpets that have stains, spillages and unwanted smells. You can trust our team to take care of all your carpet cleaning needs, prolonging your investment’s lifespan and making sure your living space is free from dirt, debris, and harmful microorganisms. We're proud that our professionalism, reliability and great results make us the carpet cleaner London turns to. If you’re looking for really reliable full service carpet cleaner in London, we are the company you can trust to address all of your carpet, rug, and upholstery cleaning needs. 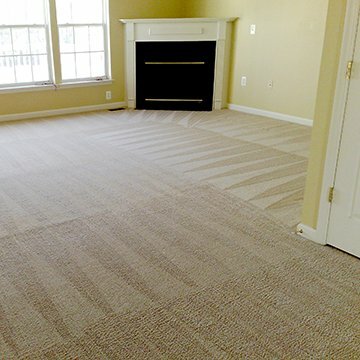 Contact us today for a free consultation to assess your home or commercial property’s carpet needs. The highest quality of carpet cleaning in London. To offer our customers the best carpet cleaning in London. We have served over 5,640 happy carpet cleaning customers in London! "Very professional, did a great job, arrived right on time. This is by far the best carpet cleaning service I've used in London, definitely use again!" "Highly recommend to others. David is extremely knowledgeable and honest. He did a wonderful job cleaning our carpet. He is an expert at cleaning carpets and we would never consider using anyone else! Five stars all the way!" 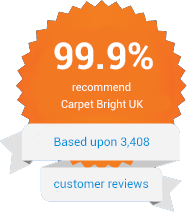 "GREAT is the best way to describe Carpet Bright UK in London and their team. They were so friendly and professional and to top that, the stains were totally removed from my carpet and at the right price. Thanks again guys."